practice, too. Adjusts to return high fly balls or grounders. ground. Unassembled. Ball not included. Jumbo size model. 66x72 inches. 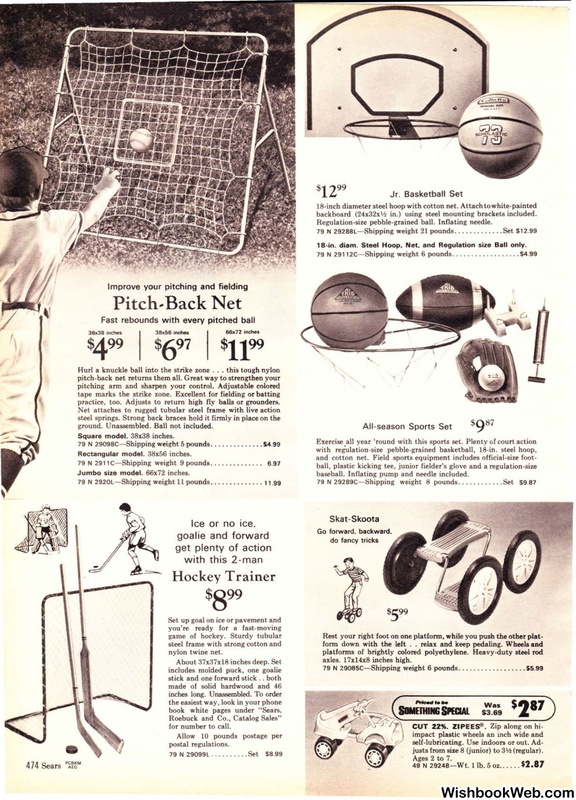 Roebuck and Co., Catalog Sales"
h in.) using steel mounting brackets included. Regulation-size pebble-grained ball. Inflating needle. 18-in. diam. Steel Hoop. Net. and Regulation size Ball only. baseball. Inflating pump and needle included. axles. l 7xl4x8 inches high.